Expion’s third Social Business Summit took place last week in Raleigh NC, bringing together an impressive group of brands and agencies for a discussion focused around the challenges and opportunities in managing social media programs. Opening day two of the Summit was Convince & Convert founder and New York Times best selling author Jay Baer, who delivered a powerful message on the value of smart marketing based on “help not hype” – the theme of his new book YOUtility. We’re sharing below a Storify recap of attendee tweets, edited to highlight key audience perspectives and takeaways from Jay’s presentation. Many valuable insights are included. For additional recaps of all key Summit sessions, you can visit Expion’s blog. Thanks to our friends at The Rocket Group for producing this highlight video from our recent nonprofits workshop in Jefferson City, MO. Our next workshop is coming up in St. Louis MO, on January 22. There are still a few seats available, and as always the event is offered free of charge for nonprofit attendees. Including the St. Louis event, over 700 nonprofit attendees will have participated in the workshops. A special thank you to our speakers and sponsors who help make it possible to continue offering the workshops as a free service for the nonprofit community. More than 150 people attended the Social Media Club of Kansas City’s January breakfast, featuring a special conversation with Altimeter Group analyst and Engage! and The End of Business as Usual author, Brian Solis. Hosted at Google Fiber Space in Kansas City, the conversation took place via a specially orchestrated Hangout, with Brian being interviewed by Social: IRL principal, Ben Smith. The Hangout was recorded by Google and will be available soon on YouTube. In the meantime, here’s a Storify recap of attendee tweets from the event, sharing many of Brian’s key insights. We also offer our congratulations to Social Media Club of Kansas City who, at the start of the morning’s agenda, were announced as inaugural recipient of the new “Outstanding Chapter” award presented by the national Social Media Club in recognition of outstanding efforts in representing Social Media Club goals and values through promoting digital advocacy and serving the local community. Over two days in October, 500 of the top media minds in the business came together in New York City, for Pivot Conference 2012. With the theme “From Social Brand to Social Business,” attendees explored the blueprint for a social construct to transform business, earn a significant competitive advantage, and improve customer relationships. Curated by Brian Solis, the conference agenda featured thought leaders and innovators representing a diverse lineup of major brands, startups, agencies, media organizations, the entertainment industry, social technology companies, and social networks such as Facebook, Twitter, and Tumblr. Attendees were privy to many valuable insights and perspectives, leaving not just inspired but empowered to serve as catalysts for social business transformation. These same insights are now available online after Pivot recently released videos of all conference sessions, a few of which are highlighted below. 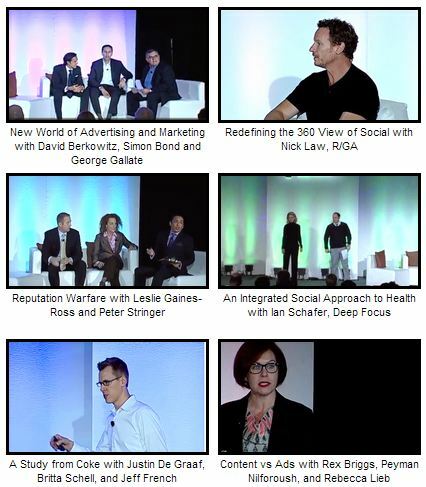 All sessions are available through the Video Library on the Pivot Conference website, and serve as a valuable resource for those seeking to define and implement new models for social business success. Ideas, strategies and tactics for smart social programs shared by attendees at the inaugural Spredfast Social Summit, which took place last month in Spredfast’s home town of Austin, Texas. In this first video, you’ll hear valuable insights from event attendees including Natanya Anderson and Michael Bepko of Whole Foods, Lauran Driver of Twitter, Kristen Piquette of Discover Financial Services, and Sean Valderas of Nokia. Ideas discussed include content strategy and publishing to delight social customers, and using social media and SMMS for community management, to provide social care to online customers, and to help brands build loyal online communities. 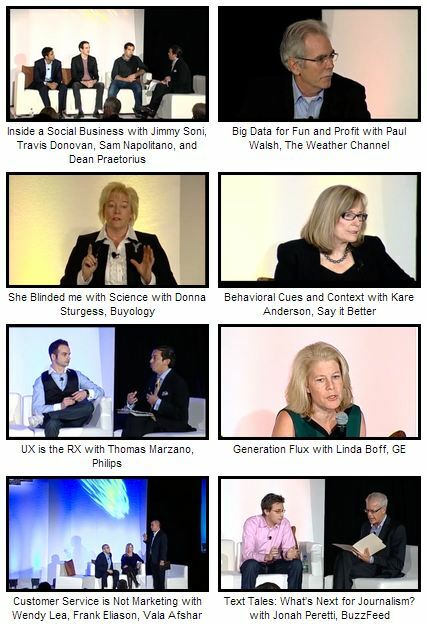 In this second video, Spredfast asked attendees to take a look ahead at where social business might be in five years. You’ll hear from social strategists like Tom Carusona of Aramark, Rebecca Lieb of Altimeter Group, Jodi Gersh of Gannett, Michael Brito of Edelman Digital, Chuck Hemann of WCG, and Rohit Bharghava of Ogilvy. Some of their predictions include content becoming a bigger part of brand’s social strategies, integration of social at every business and media touchpoint, hyperlocal social business efforts and the use of data to help uncover trends and better target activity..
It’s been a busy few months for Social: IRL. 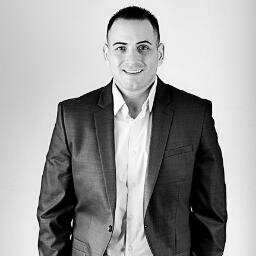 In addition to our regular client work and speaking engagements, we’ve been privileged to host and attend some great events. Thanks to the support of our sponsors and speakers, who enable us to offer the event at no charge to attendees, we were able to continue our social media for nonprofits workshop series with additional events in Springfield and Kansas City. Since we started this workshop series back in May, over 450 nonprofit attendees have participated. We just announced the next workshop for Jefferson City MO, on December 4, and are working to announce a final 2012 event date in St. Louis MO. 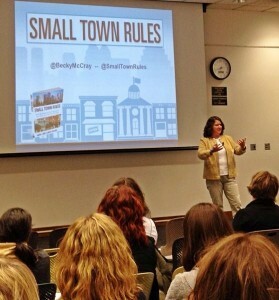 We also enjoyed hosting our good friend Becky McCray here in Lawrence KS, for Small Business Survival and the State of Now. We’re looking forward to seeing Becky again later this week at the State of Now conference in Hutchinson KS. If you aren’t familiar with the State of Now, formerly known as the 140 Conference, you can learn more from our interview with Becky and conference organizer and co-host Jeff Pulver. In addition to our own events, we participated in some pretty amazing events hosted by Social: IRL sponsors and friends, including the Expion Social Business Summit in Raleigh NC, the Spredfast Social Summit in Austin TX, and Brian Solis’ Pivot Conference in New York City. Thank you to the event hosts, speakers and sponsors for the many incredible insights and valuable learning experiences. This week we’ll be attending two local events and would strongly encourage you to join us. In both instances the event organizers have given us discount codes to share, making registration a truly affordable and valuable investment. The State of Now, Hutchinson KS, November 8: Expect to hear from dozens of great speakers from across the U.S. sharing stories of the personal and professional impact of social media and how the “state of now” is disrupting business, education, agriculture, media, celebrity, music, politics, public safety, and our culture. Presentations are all 10 or 15 minutes long, and PowerPoint is not allowed. Much like a Twitter message, speakers have to get to the point. It’s less of a “how-to” conference, more of an idea conference. Use promotion code friendofST12 and registration is just $40. Visit the event website to learn more and register. Compute Midwest, Kansas City MO, November 9: Learn about what’s next in technology – straight from eight tech leaders from companies like Google, Box, Github, Joyent, Dwolla, AgLocal and more. Hear the inspiring stories of these innovators who are building companies that change our life, our work & our business. Gain insight into their vision for the future, learn where technology is going and discover how Kansas City can capitalize on Google Fiber. Discount code SOCIALIRL for limited time 30% off regular conference ticket price. Discounted tickets are also available for startups, entrepreneurs, nonprofits & students. Visit the event website to learn more and to register. We spend a great deal of time online – learning, doing business, creating valuable networks and connections, and enhancing existing relationships. But the value of these offline networking and learning opportunities can not be emphasized enough. It’s part of our own business philosophy and even, of course, the IRL (In Real Life) in our business name. In this short video we hear from 360i’s Matt Wurst , Garmin’s Jake Jacobson, and H&R Block’s Scott Gulbransen. See our earlier posts for interviews with Matt Ridings, Amber Naslund, Jeremiah Owyang, and Jason Falls. Social: IRL recently participated in the inaugural Social Business Summit hosted by our friends at Expion. During the course of the event we had the opportunity to chat with a number of speakers and attendees and will be sharing a series of short video interviews. We start with Amber Naslund and Matt Ridings, who took time out after their keynote presentation to share some additional social business insights. In this first video, Matt and Amber discuss the importance of creating the right foundation and framework for social business. In this second video, Matt and Amber discuss the role of the social media “Center of Excellence,” which they also describe as the “center of gravity,” at the heart of the hub and spoke model for social business. We’ll be posting more videos soon, including interviews with Jeremiah Owyang and Jason Falls, and insights from H&R Block’s Scott Gulbransen, 360i’s Matt Wurst, and Garmin’s Jake Jacobson. You can contact Expion at summit@expion.com if you would like to receive details about their next Social Business Summit, taking place in 2013. 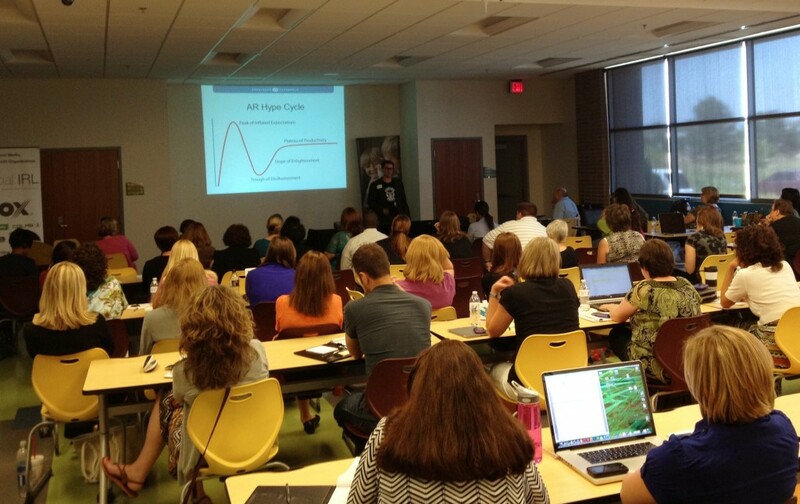 Last week, Social: IRL hosted our second non-profits workshop at the Kansas Humane Society in Wichita, KS. The event saw 65 non-profit attendees from across Kansas and Missouri come together for a day of shared learning focused on the potential of social media as a powerful integrated marketing, communications, and relationships platform, and a tool to drive positive action from supporters. Social: IRL would like to thank our sponsors who made it possible for non-profit organizations to participate in the workshop free of charge. Thank you Cox Communications of Kansas, Delta Dental of Kansas, Colab Digital, UMB, Shay Chic Events and Design, Northstar Comfort Servicers, and The Arnold Group. The day’s agenda featured Eric Melin with Sprial16, Ben Smith with Social: IRL, Maria Loving with Via Christi Health, Katie Grover with Fidelity Bank, Jessica Best with emfluence, JD Patton with Armstrong Chamberlin, and Jennifer Campbell with Kansas Humane Society. Finally, a very special thank you to our hosts, the Kansas Humane Society, who graciously provided their facility for two non-profit workshops and more than 150 non-profit attendees. We are inspired by the hard work and dedication consistently displayed by the staff and volunteers at the Kansas Humane Society and thank them for the service they provide to the Wichita community. Our next non-profits workshop will take place in Springfield, Missouri, on August 23, and will again be free for non-profit attendees. 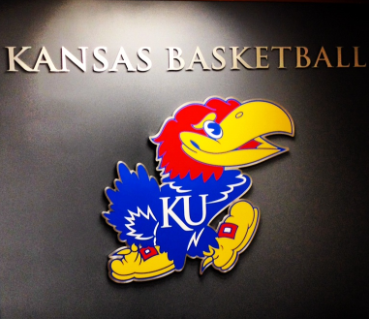 Last night, Social: IRL joined KU Athletics at Allen Fieldhouse in Lawrence, for our latest “Behind the Brand” event. 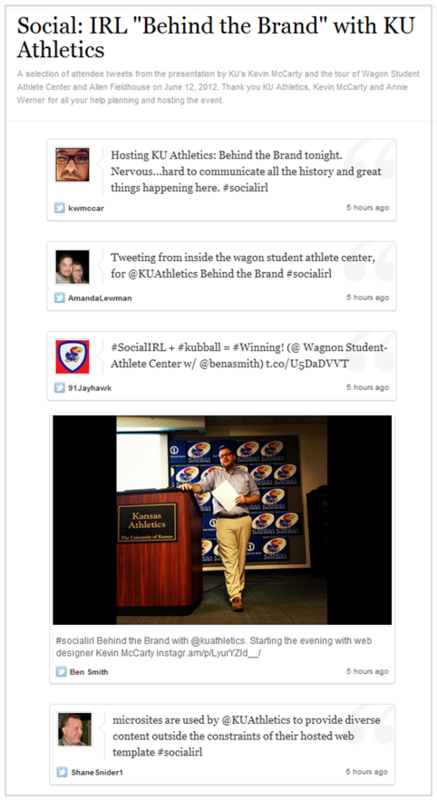 Attendees learned how KU Athletics use the web, mobile, and social media to engage with fans. We heard about both challenges faced and opportunities discovered, and learned some of “what’s next” as KU continue to evolve their online and mobile strategies. We also addressed issues such as pros and cons of student athletes being engaged in social media, the reality of Tweets becoming news stories, and social media implications of NCAA regulations. Attendees then enjoyed a special behind the scenes tour of Allen Fieldhouse and the Wagon Student Athlete Center, not just seeing parts of the complex many attendees had never had access to before, but discovering fun and interesting facts about the Jayhawks along the way. Thank you KU Athletics, web designer Kevin McCarty, and interactive media manager Annie Werner for making the event possible and for being such gracious hosts. Special thanks to Kevin McCarty for the great presentation and for leading the tour – your passion for communicating the history and tradition of KU Athletics was abundantly clear. Here’s a Storify recap of the event, made up of attendee tweets and photos. Click to view.